What is better than date night? Not much! Everybody needs an opportunity to shed the yoga pants and dress up pretty. Of course, nothing kills a pretty outfit like a humongous purse chock full of too much stuff. After all, it is date night…all you really need are the essentials. 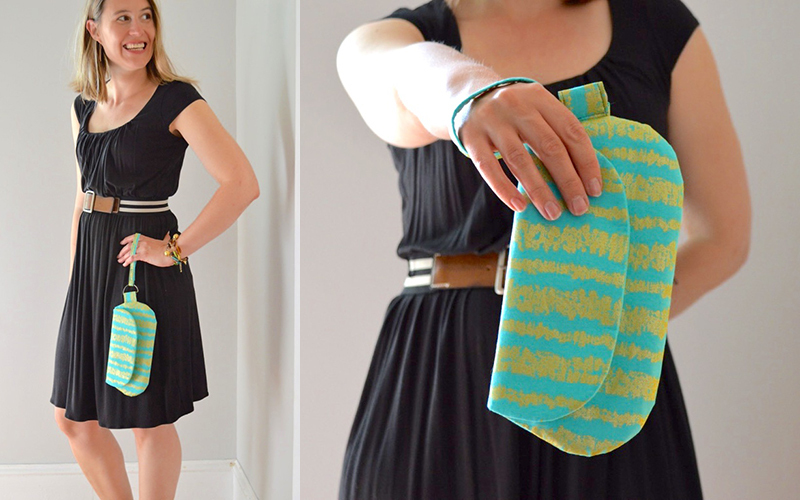 Stitch up this Date Night Clutch with a Wristlet using the free pattern and you are covered! 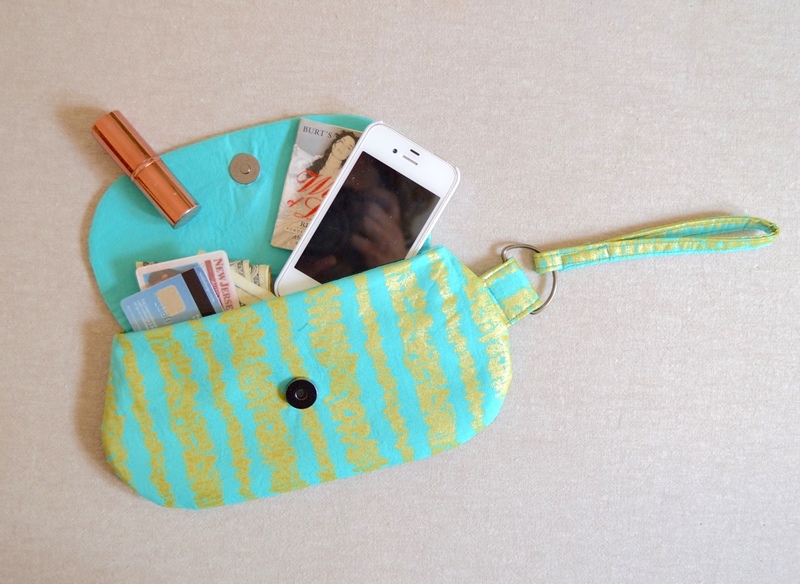 The wristlet strap keeps your hands free for all of the canoodling and cosmopolitan drinking sure to come. 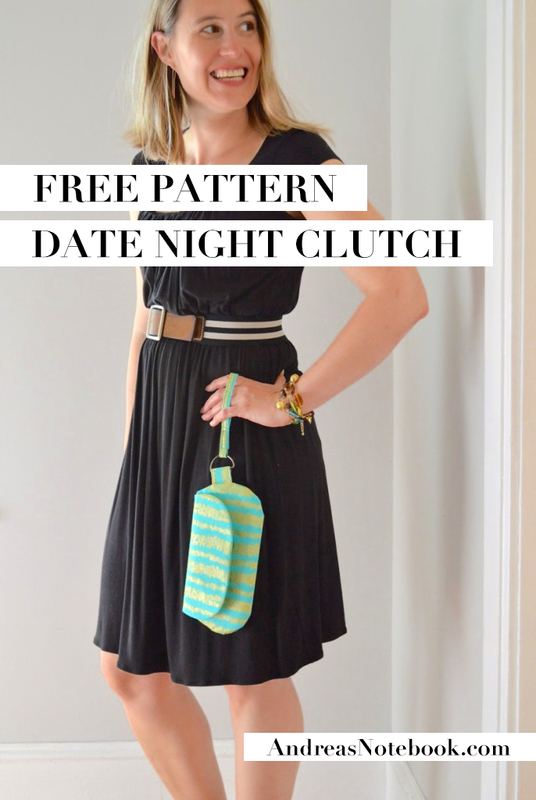 This free clutch pattern is here to glam up your date night, so let’s get to it! 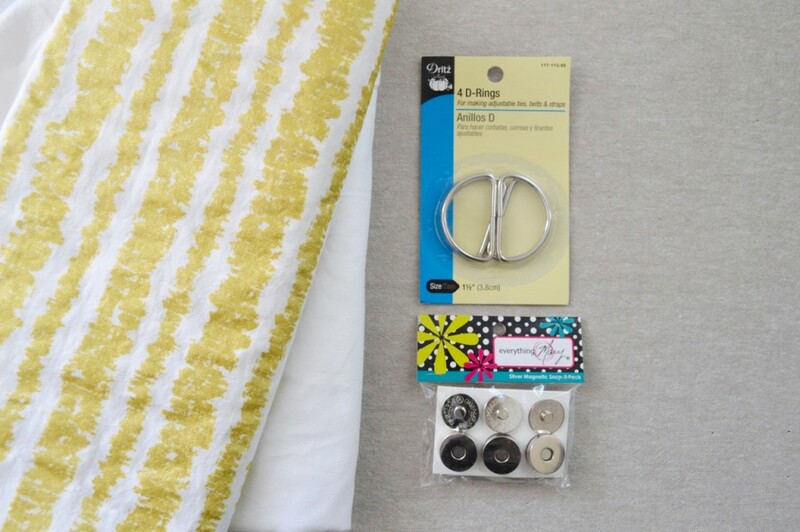 + Sewing supplies such as your machine, thread, etc. 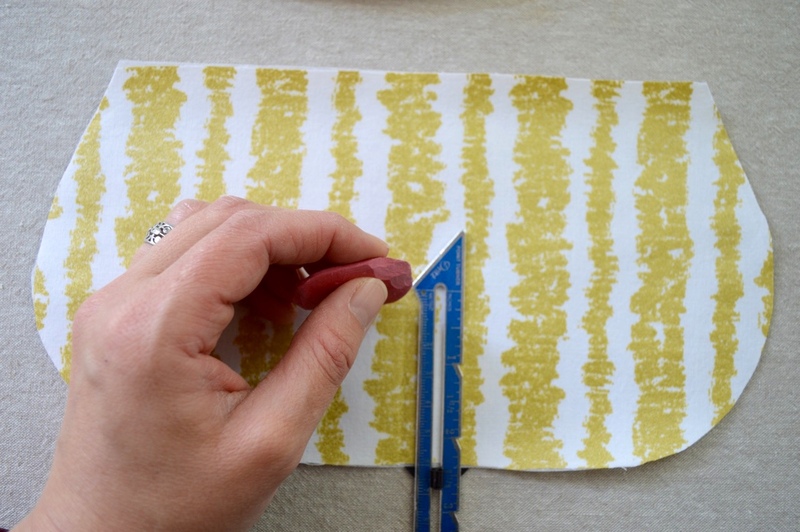 + Cut two 3″ pieces off the long rectangular strip such that you end up with one strip 16 1/2″ long and two pieces 3″ long. 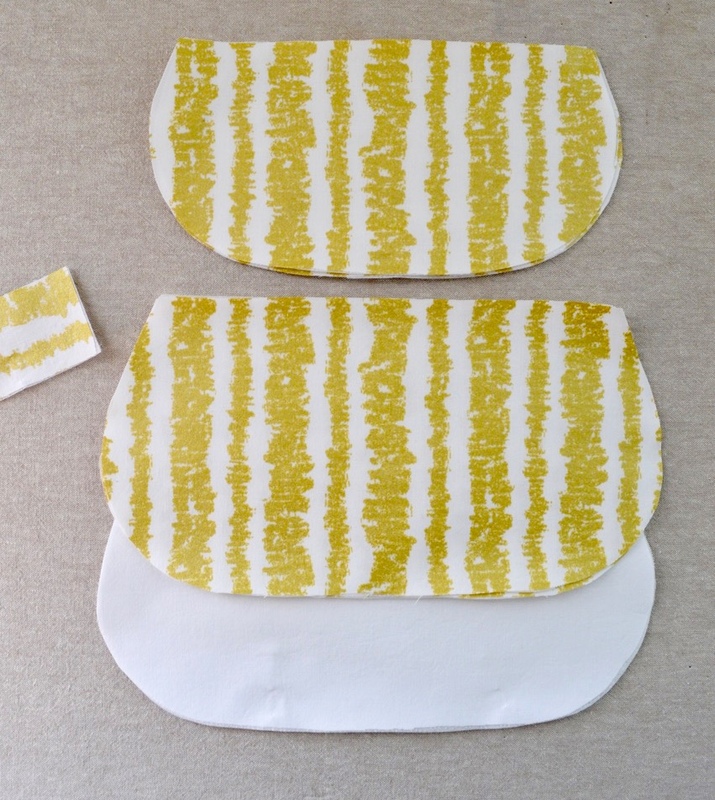 + Use a marking tool to mark the notches on the large pattern piece and the X on the small pattern piece. 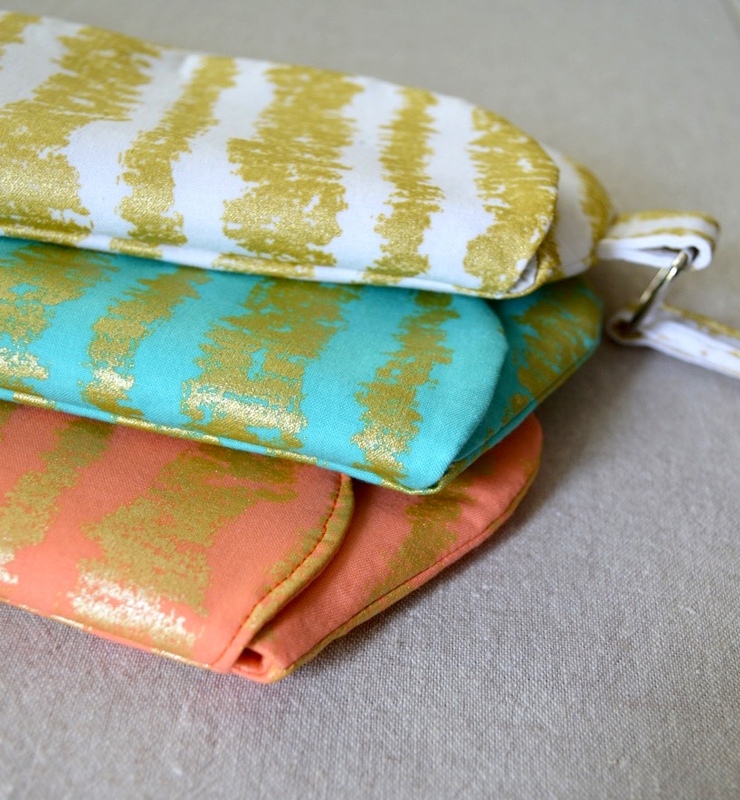 The handy, dandy wristlet is made up of two pieces. The first is the tab that attaches to the clutch itself and the other is the strap for your hand to hold. Start by taking our rectangular pieces and creating the different components. 1. Stitch, right-sides together, the 3″ by 1 3/4″ pieces along their long sides only. Turn them right sides out. Topstitch both long sides. 2. 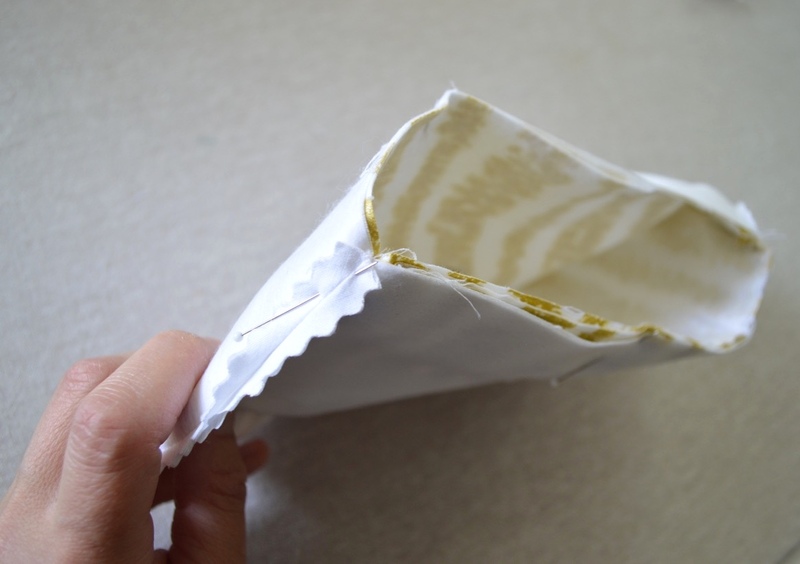 With the long rectangular piece, iron it in half lengthwise and then fold both both raw edges inward toward the mid-fold. Press with an iron. 3. Stitch the strap you have just pressed along both long sides to create the strap component. 4. 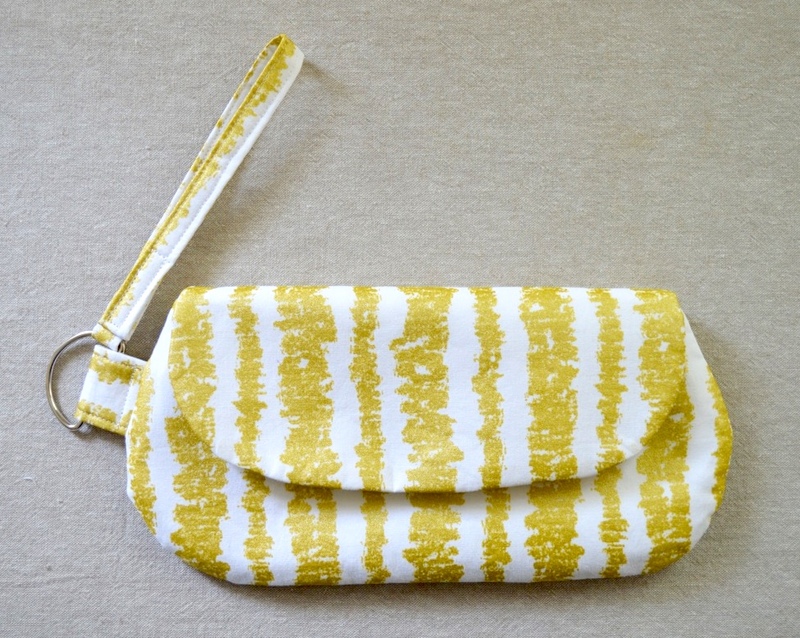 Now all of the components have been created, we can put it together to make the wristlet. Begin by folding the smaller rectangle over the straight edge end of your d-ring so that the short raw ends meet. Stitch across to hold it in place. 5. Fold the long strap over the curved portion of the d-ring about 1″. 6. 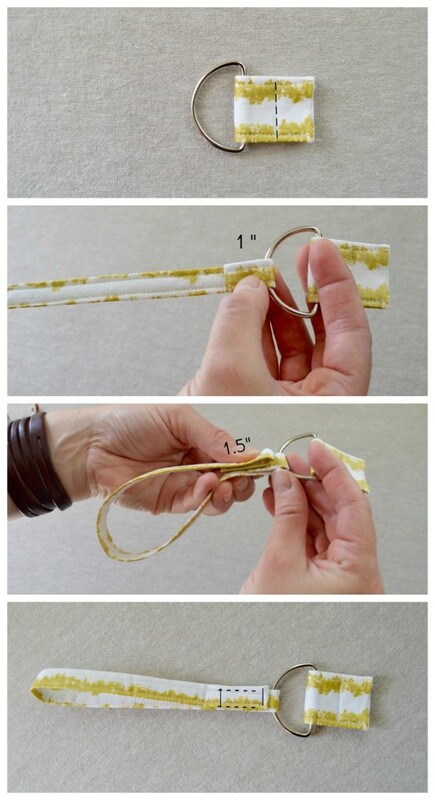 With the other end of the strap, fold it under about 1 1/2″ and place that fold on top of the fold near the d-ring. 7. Stitch in a square shape on top of the folded areas to secure the strap in place. This stitch can be tricky because it is sewing through so many layers so you may want to switch to a heavy-duty needle on your sewing machine. 8. Congratulations – you have a strap! Place the straps raw edges alongside the raw edges of the main bag in between the notches. Stitch it in place with a 1/4″ seam allowance. 1. Now it’s time to put together the bag and insert the magnetic snap. 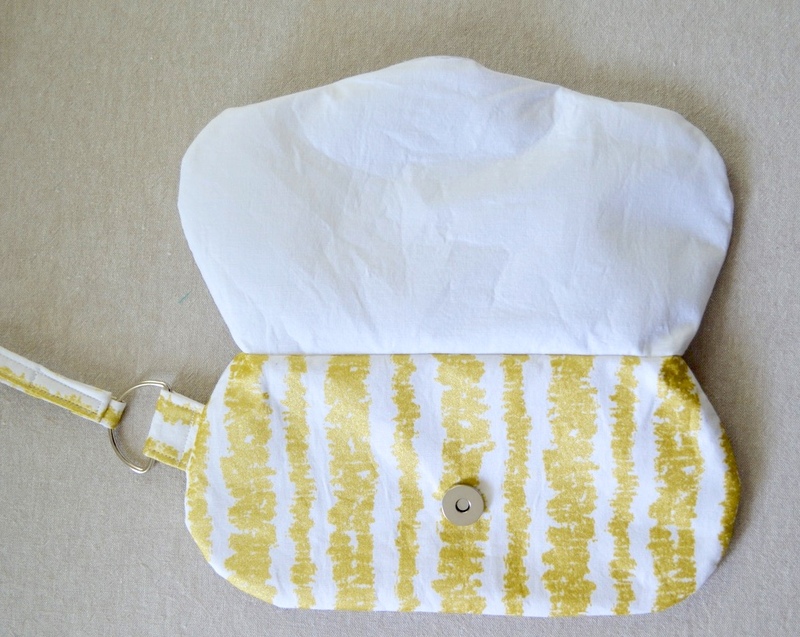 Begin by stitching the small pattern pieces right sides together with a 3/8″ seam. Trim the edges with pinking shears and turn right sides out. This is the front flap of the clutch. 2. 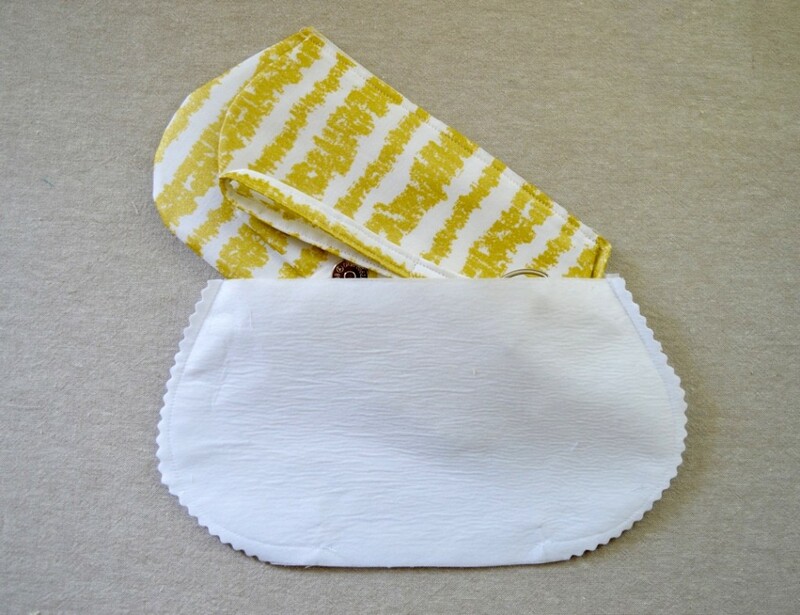 Stitch the large bag lining pieces leaving a small opening at the bottom of about 3″. The magnet snap consists of two separate pieces that ‘snap’ together. One piece of the magnet snap will be affixed to the front flap of the clutch and one will affix to the bag body such that they meet and close when the bag is finished. 1. Gather the thinner portion of the magnet snap with the protruding center, an exacto knife and the front flap. Slip the bit of cardboard in between the two pieces of fabric. Using the portion of the snap that is flat, center the middle circle over your X mark and use the exacto knife to cut small slits where the rectangles sit. BE SURE YOU ARE CUTTING ONLY ONE SIDE OF THE FLAP. This is the back portion of your snap but helps to align the magnetic snap for placement. 2. Slip the ‘legs’ of the other piece of the snap into the slits you have just created and place the thin metal piece around the legs. 3. Fold the metal legs inward to secure it in place. 4. The front flap is now complete! It’s time to put in the snap for the front of the bag. 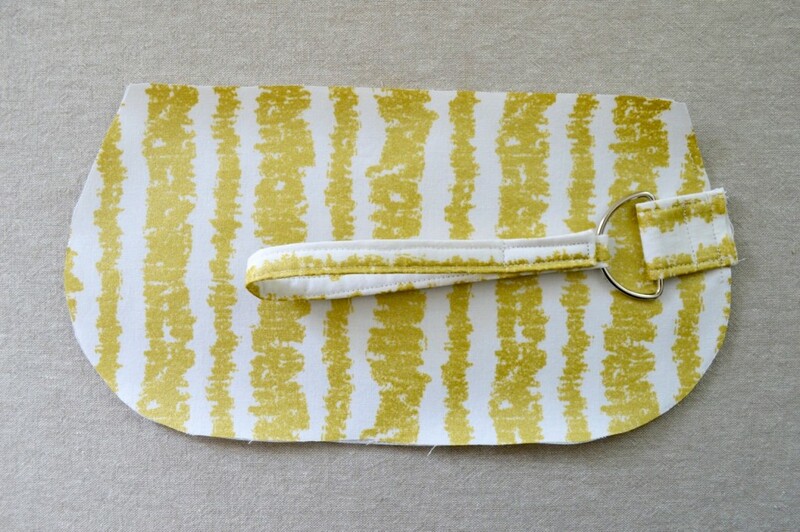 Gather the main fabric piece for the bag body (the piece that doesn’t have the wristlet attached) and the other magnet snap. Measure up 2 inches from the bottom and in the very center of the fabric and mark. 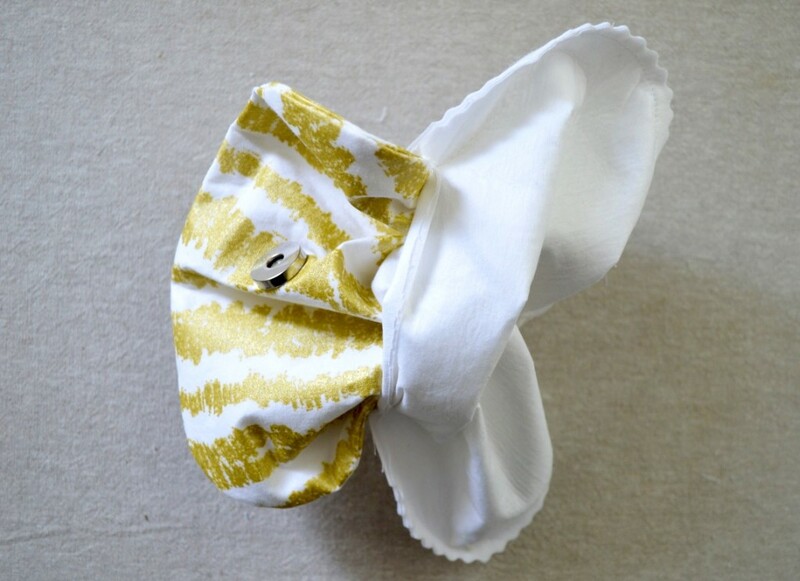 (fold the fabric in half lengthwise and make a crease to be sure you are at the center). 5. Insert the magnetic snap in the same manner as before. 6. 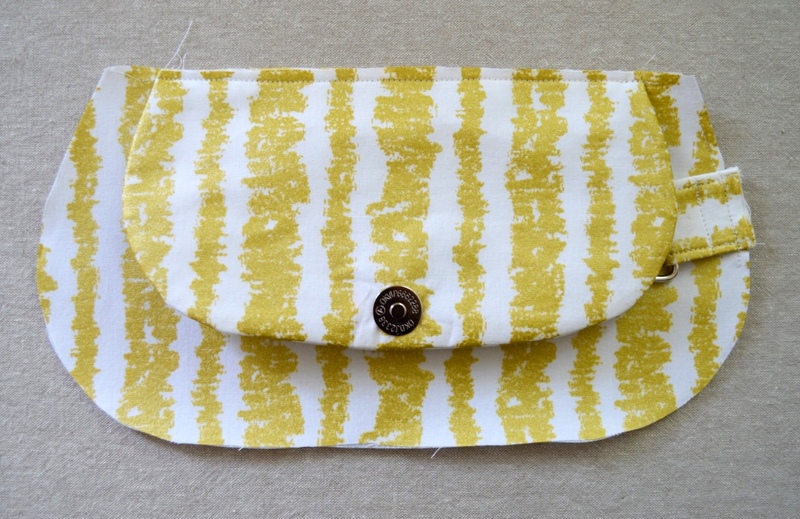 Attach the front flap by aligning it to the top of the main fabric piece between the markings. 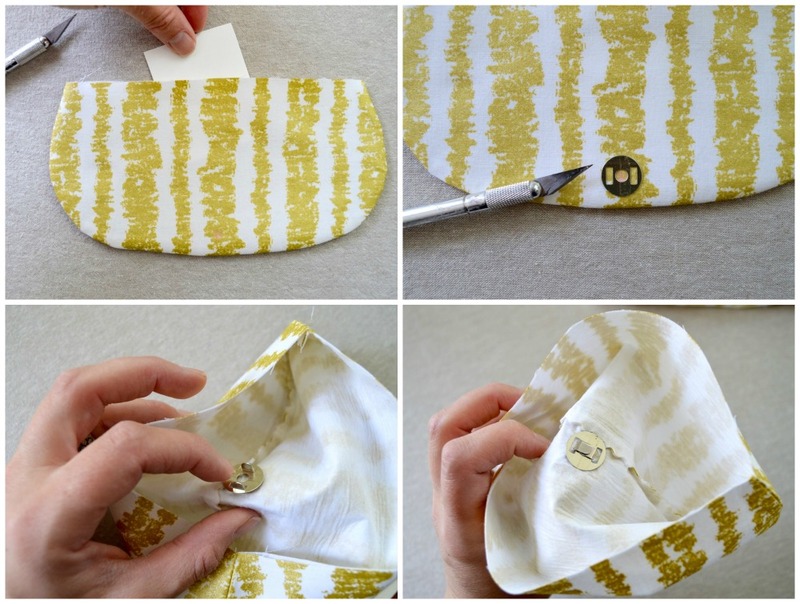 Be sure you are attaching it to the main fabric piece with the wristlet attached. Stitch in place at the top with a 1/4″ seam allowance. 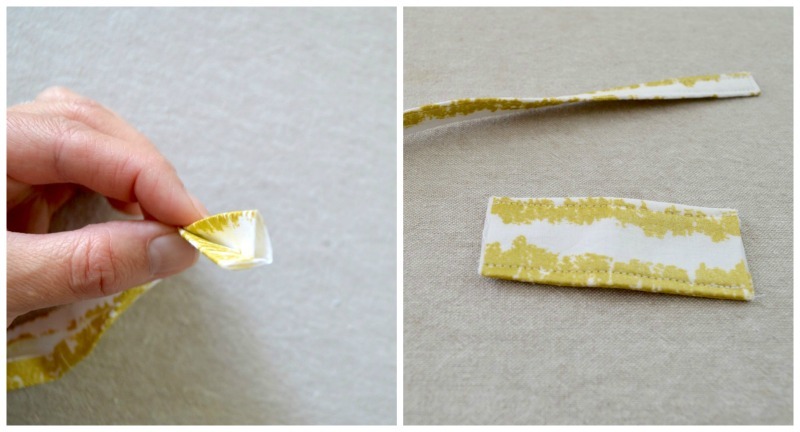 Be sure that you are attaching it with the magnet snap facing outward. 7. Place the two bag body pieces right sides together and align the raw edges along the curved portions. 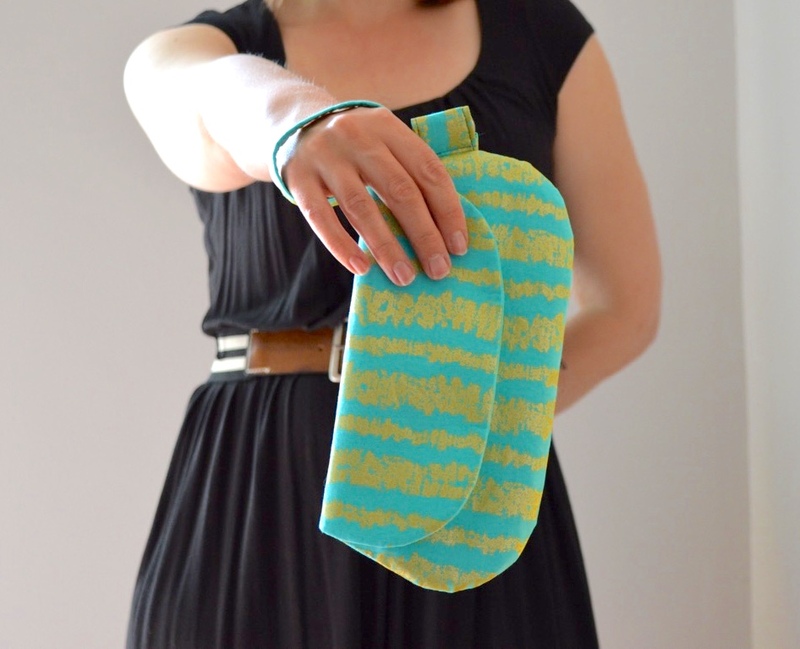 Stitch along the sides with a 3/8″ seam allowance. Trim the seam allowance with pinking shears and turn right sides out. 8. Place the main bag body inside the lining bag body and align the top raw edges. 9. 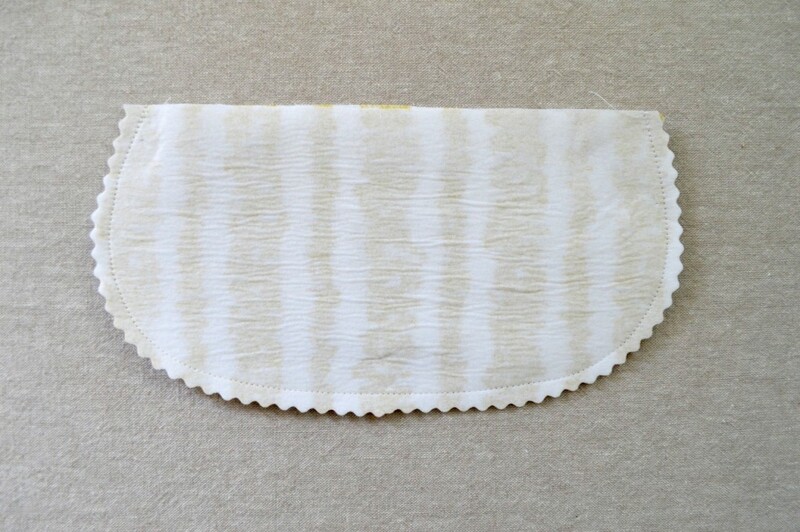 Pin the top raw edges in place and stitch entire top with a 3/8″ seam allowance. 10. Turn the whole thing right sides out through the opening in the lining. 11. 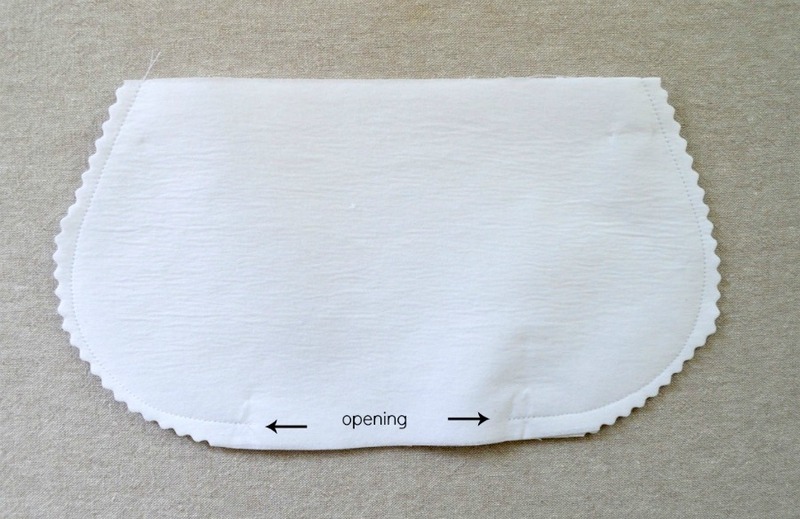 Once everything is right sides out, press everything, fold the opening inward and stitch closed. Stuff the lining inside the bag. 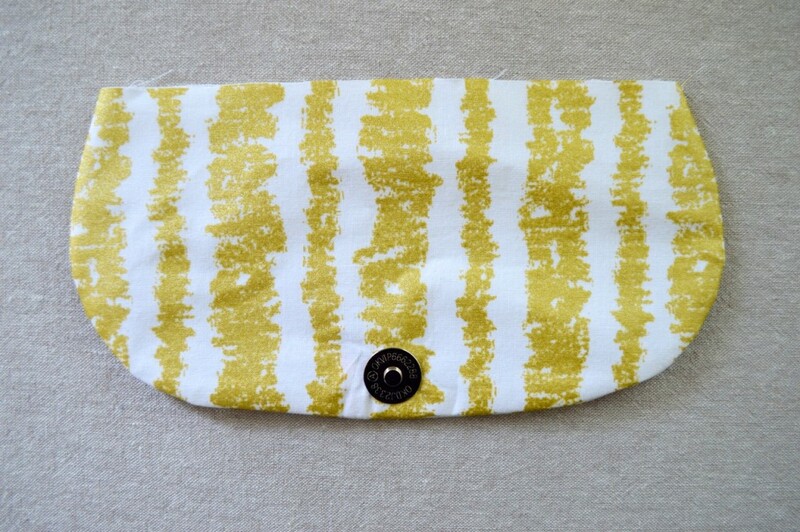 Look at your pretty wristlet! Date night is calling! These are so easy to make and so super cute. Made in bunches they make a great bridesmaid gift or a lovely gift for a gaggle of your best girlfriends on girl’s night. Fabric for this project was provided courtesy of the lovely folks at Michael Miller Fabrics and will be available in store starting in June. Watch for it! this is so adorable! I love it, and easy to make! Thanks Jess! So glad you like it.